Like anyone else who has visited this magical slice of paradise on the Atlantic Ocean coastline, we love Camps Bay in Cape Town. With so much to see and do, what’s not to love?! Home to a long stretch of Blue Flag status beach that is flanked by palm trees and dotted with trendy cafes, restaurants and cocktail bars, this area is often compared to the South of France. This is where you will find some of the city’s top villas and self-catering homes, along with a selection of the finest beaches. While you will easily find a list of things to do in Camps Bay in any guidebook, it’s not always as easy to find activities that are further off the beaten path. 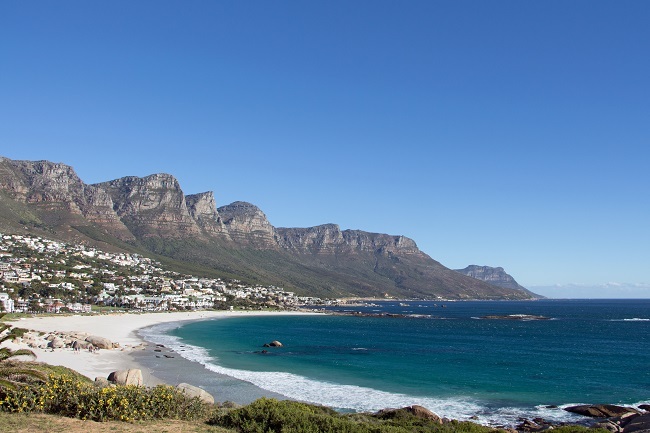 In this mini guide, we take a closer look at Camps Bay in Cape Town to see some of the more unusual things to do in this part of the Mother City. 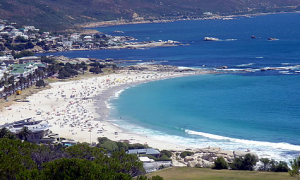 Why Visit Camps Bay in Cape Town? 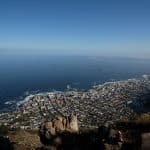 In this video from December 2016, DMF Photography takes you on a nine minute virtual tour above Camps Bay in Cape Town, showcasing some of the area’s great beauty. From its cool Atlantic Ocean waters to its boulder-filled beaches, beautiful people, mountain views and all-round breath-taking scenery, this suburb has become a mecca for holidaymakers. 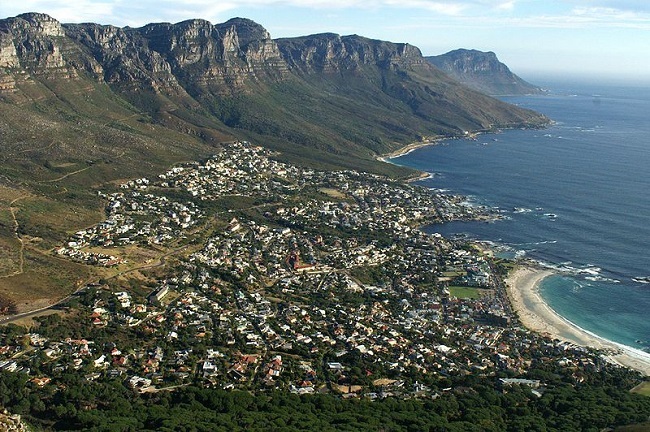 The video features areal footage of Camps Bay, for the perfect bird’s eye view. On the scenic Victoria Road, a drive that takes you from Camps Bay to Hout Bay, you will find a bustling open-air market. Here, you can shop for interesting African curios, hides, beaded jewellery, leather crafts and other handmade items. This is a great place for gift shopping, with many one of a kind items to be found. Look out for masks, wooden bowls, sculptures, artwork and many other African goodies. Starting on Kloof Nek, this route follows the old water pipe along the top of Camps Bay. The views from up here are simply out of this world. The route is gentle enough for those who are not keen for a major hiking adventure, while still giving you the benefit of a good walk. To access the start of the route, turn at Kloof Nek as though you were heading to the cable car, but park at the bottom parking lot on your left. The route takes you from Kloof Nek to Slangolie Ravine (roughly an hour and a half each way). Situated on The Drive, Tuesdays at Dizzy’s are always a treat. This is when the popular bar and restaurant hosts their karaoke nights. It’s strictly open mic, which means anyone can take to the stage. Then there are the drool-worthy pizzas, excellent beer selection and all-round great vibe. Dizzy’s is at its most festive from around 21h30 until late. For more info, call them on +27 (0)21 438 2686. In The Promenade centre on Victoria Road, there is a lovely ice cream and sweet treats shop, aptly called Sinnful. The ice cream flavours you will discover here are out of this world… chardonnay, fig and honey, koeksusters and Amarula are just some of the decadent options on the menu. Sinnful is open every day of the week, from 10h00 until 23h00. 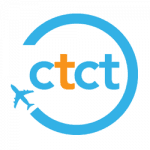 For more information, you can give them a call on +27 (0)21 438 3541. Situated at The Glen on Kloof Road, The Roundhouse is one of the area’s oldest delights. This was once the hunting lodge of Lord Somerset. The views span across the Atlantic Ocean, with the mountain creating the perfect backdrop. Enjoy a leisurely meal on the expansive lawn, or try an elegant dinner indoors during the cooler months. Bookings are essential – contact +27 (0)21 438 4347 to make a reservation. For intimate performances and world-class entertainment, Theatre on the Bay is an absolute must-visit. The theatre is situated on Link Road. Established by stage legend, Pieter Toerien, the 238 seater venue headlines a wide range of performances, ranging from drama to cabaret, dance, comedy and everything in between. There’s also an on-site cafe. Call +27 (0)21 438 3300 for more info about upcoming shows. Wondering where to stay when visiting Camps Bay in Cape Town? Our top picks for accommodation in this area include Villa Bleu Blanc, a spectacular 5-star 4 bedroom villa; Saints Villa, a serene 7 bedroom stunner; Villa Aqua, a modern 4 bedroom split-level villa; Valtameri, a gorgeous 5-star 5 bedroom abode; Villa 31, an incredible 5-star 4 bedroom villa; Element House, a contemporary 3 bedroom retreat; Geneva Gem, a serene 5-star 6 bedroom villa; Atlantic Six, a spacious 6 bedroom retreat; Serenity, a 5-star 6 bedroom luxury masterpiece; and Hamaya, a dreamy 5-star 4 bedroom escape. If you’re looking for additional ideas on where to stay, browse our full list of accommodation options in Camps Bay or contact us for further assistance. 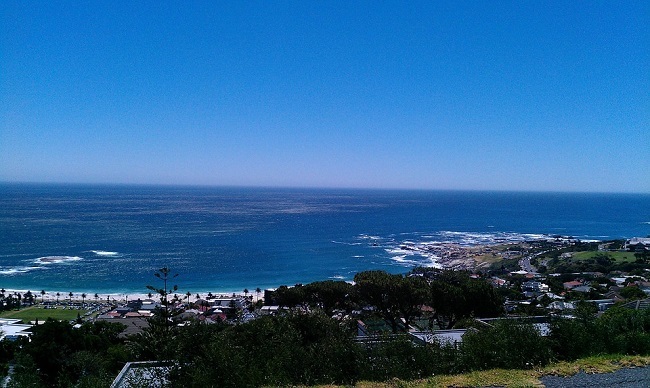 What do you love most about Camps Bay in Cape Town? Share your thoughts below and let us know!